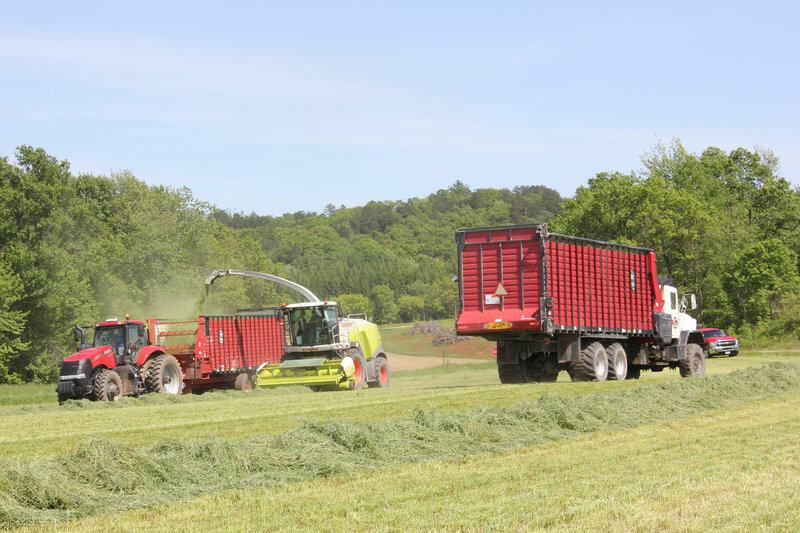 The Meyer 8200RT Front & Rear Unload Forage Box is in a league of its own! No other Front & Rear Unload forage box offers you the capacity and features of the 8200RT. 8' interior width, 667XH pintle aprons, solid poly floor, clad tuff fiberglass sides, 81X cross conveyor chain with poly liner, deluxe cab control hydraulic drive, rear gate delay and much more all standard equipment! Available in Truck, Cart or Wagon Mount applications. If you are looking for class leading capacity and performance, the 8200 is for you! Solid Poly Floor - high molecular virgin poly (no regrind)! Clad-Tuff fiberglass side panels standard. Easy clean up / good looks / allows for hauling of cured silage without corrosion. RT Bevel Geardrive / no worm gears or chain reductions on front discharge. Simple 3 motor hyd drive reduces maintenance too. Strong 2" drive shafts front & rear, machined steel sprockets - not cast! Large diameter nylatron bearings hold more grease and last longer. HD splined coupler allows performs the front to rear unload drive conversion (rear drive pictured). 18" diameter drum augers in a tapered formation deliver a smooth flow of crop to the discharge conveyor. 14" side extension pkg available (solid or mesh). This package includes a 4th beater to maximize discharge quality in heaped loads! 24" wide cross conveyor - 81X extreme duty chain & poly conveyor floor! 24" hyd fold-down extension standard / 36" fold-down optional. 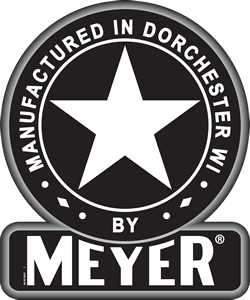 Top Pivot Door with the patented Meyer Gate Delay System standard. Turn it on / Turn it off - no assistance needed! Door latches securely into drive shaft. Scale packages available for truck, trailer chassis or wagon mount units.